Take the stress out of dinner time! Plan ahead and stock up on groceries this Sunday so you can enjoy a home cooked meal each night this week. This week's menu has a little bit of everything; from comfort classics like to lasagna to spicy kimchi fried rice. AKA Lazy Lasagna! 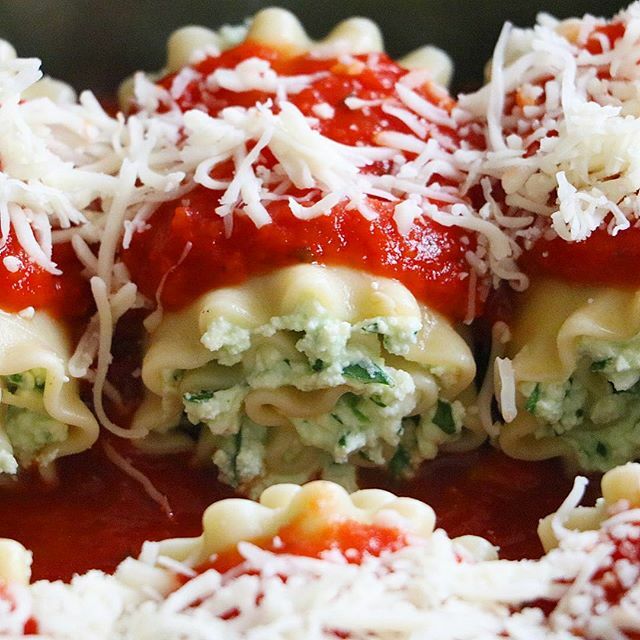 These roll-ups come together much faster than traditional lasagna, without losing out on any of the flavor. These juicy salmon burgers are delicious on a fluffy whole grain bun, but are equally as good served over crisp lettuce or whole grains. 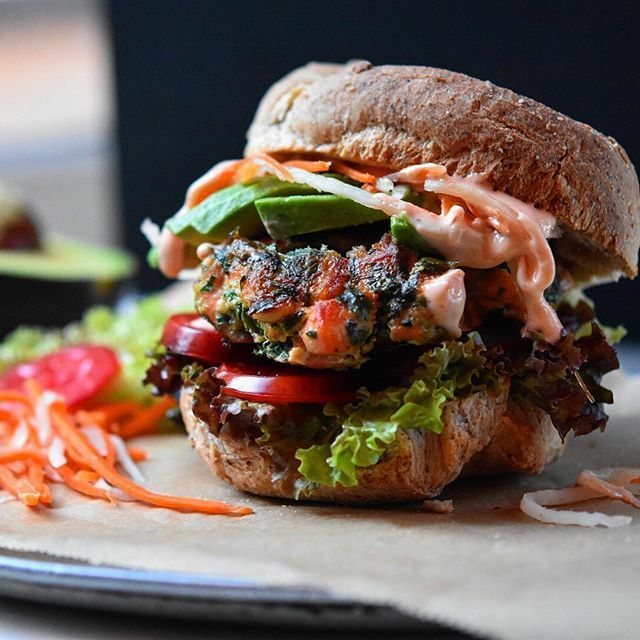 Feedfeed Tip When making fish burgers, we like to chill the patties for an hour or two before cooking to make them easier to flip and work with. 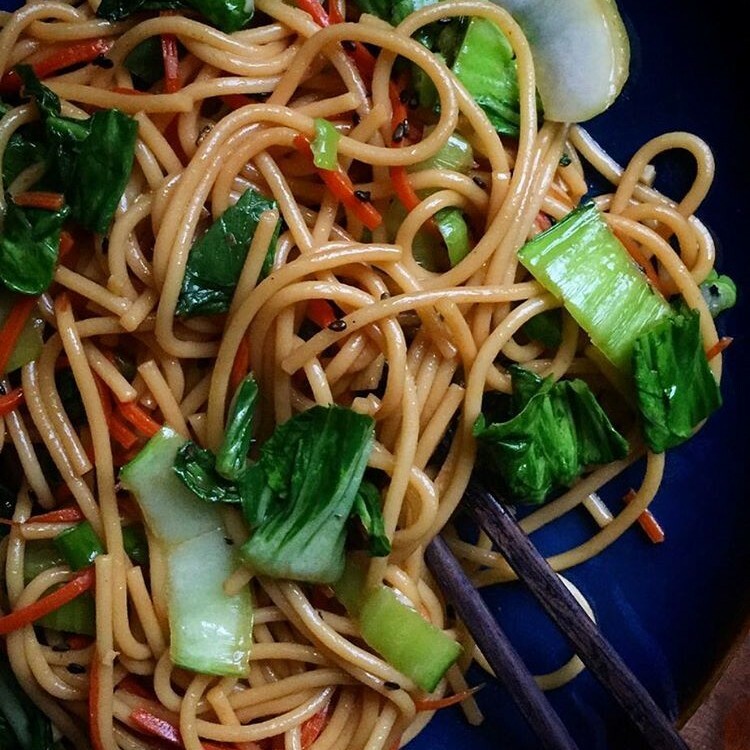 Forget about takeout, you can have these better-for-you noodles on the table in less than 20 minutes. The best part? The veggies you use are totally up to you. Use whatever you happen to have an abundance of! Feedfeed Tip The beauty of stir-fry is most of the most of the work is done before you even start cooking. Make sure you have all of your ingredients prepped out and at the ready so you can move quickly once you get to the stove. You want the vegetables crisp-tender, but not soggy. 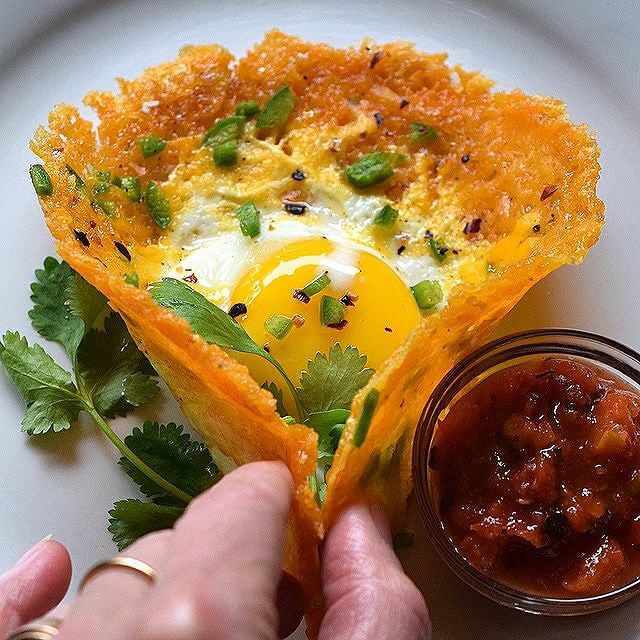 Yep, this is a taco made from fried cheddar cheese and a sunny-side egg. Send your thanks in advance to @julesfood. This is the ultimate go-to recipe you need in your repertoire for when you have just 5 minutes to make dinner. Serve with a green salad for a complete meal. 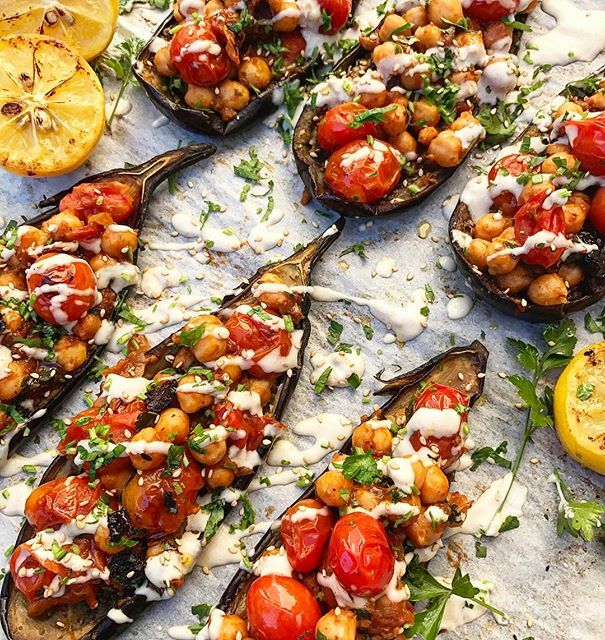 Go meatless with these flavorful roasted eggplant boats. Serve with rice (make extra to use for tomorrow evening as well) for a more filling option, and be sure save the liquid from your canned chickpeas (aka aquafaba) for a special recipe later in the week. Use leftover rice to make this spicy fried rice. 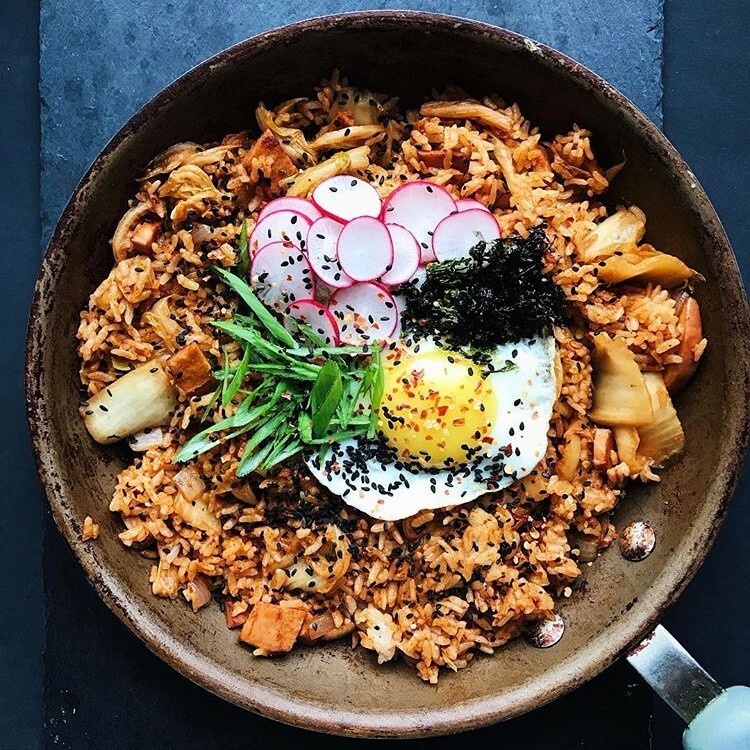 Feedfeed Tip This recipe calls for Gochujang, a spicy fermented Korean red chili paste, which you can find at your local Asian grocery store. 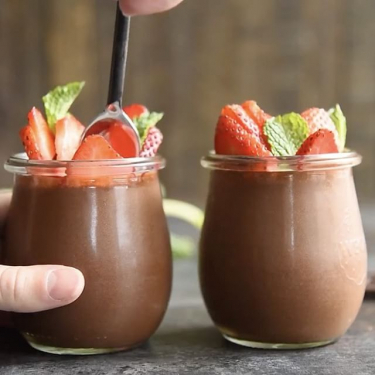 This light and fluffy mousse is refined sugar free and vegan thanks to the aquafaba you saved from your can of chickpeas earlier in the week! The perfect no-bake dessert as we head into the summer months.